The origins of the law firm of malherbe rigg & ranwell are difficult to distinguish from those of the early century mining town, which went on to become the city of Boksburg. Boksburg was the firm’s first home and this bond has remained intact throughout its 120 years of existence, which started in the dusty, robust, pioneering days of Paul Kruger’s Transvaal Republic, to the bustling metropolis of the modern day city. the farms Vogelfontein and Leeuwpoort, which had earlier yielded gold to a prospector, PJJ Killian, were proclaimed as public diggings and Boksburg was born, named after Mr WE Bok, the then State Secretary. 100 stands were sold by public auction and the development of Boksburg began. buried among the general mining news, prospecting snippets and personal announcements in the Boksburg Herald datelined July 29, 1899, two advertising notices appeared. These two announcements were the first indication of the inception of the law firm of mrr. The outbreak of the 1899 Anglo Boer War proved a turning point in the make-up of the practice. Beyers turned to what became his true calling – the military – and travelled to Pretoria to sign up as a private with the Boer Commando, causing the partnership to be dissolved and leaving only Malherbe and Konig in the practice. He showed great military presence and was famous for capturing an entire British camp at Nooitgedacht. He later rose through the ranks to General. Konig then signed up with the Boksburg Commando leaving Malherbe to run the practice on his own. After the war Konig left Boksburg and married Sophia Margaret Minnaar. In 1912 Beyers, now chief of the Union Citizen Force, presented three handsomely carved chairs to the Boksburg Dutch Reformed Church in memory of his early practice days. In 1914, when World War One broke out, Beyers opposed it and led the 1914 rebellion, the result of which turned him into a wanted man and while fleeing to the OFS he suffered a fatal heart attack during a river crossing. 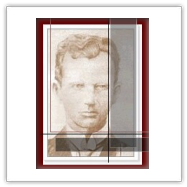 Julius Konig was present when his body was recovered from the river and the first partners of the original mrr were briefly reunited. In 1906 Malherbe was joined by Reginald Shaw Rigg, a former subaltern in the Royal Lancasters and who had arrived in South Africa in time for peace to be declared. However, the pioneering country so impressed Rigg that he returned and settled in Johannesburg where he was engaged by the local law firm of Van Hulsteyn, Feltham & Ford. He was admitted as an Attorney in November 1902 and two years later, representing a Boksburg miner, he was introduced to the bustling mining town. Following the successful defence of his clients’ case he opted to return and after a partnership with a Mr. Hull he joined Malherbe in 1906. They continued the practice on the corner of Buitekant and Church Street’s in a dwelling that still stands today. Rigg resumed his military career during World War One and saw service in Walvis Bay as a Lieutenant. In 1907 he returned and married Ellen Maud Marshall and had four children, two sons and two daughters – the same year that Malherbe married Katherine Pattick, a union which resulted in one daughter. In 1919 Malherbe retired due to ill health and returned to the Cape where he led an active civic life until his death in 1938. Rigg meanwhile was the sole surviving partner and on many occasions found himself pitted against one of the most astute legal and political minds of the time – Mahatma Ghandi – a man who was strongly opposed to the Union policy towards Indians. His greatest legal battle was when he took on and won a case against the SA Railways concerning the expropriation of General Beyers’ old house, now the Horizon Clinic. The case received wide overseas coverage. William Ranwell was born in Kuruman in the Northern Cape in 1910 and completed his schooling at Selbourne College in East London. 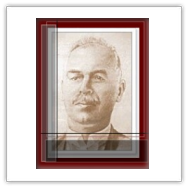 He completed his articles with the East London practice of Davidson, Wetherby and Addelson and was admitted as an Attorney, Notary and Conveyancer in 1933. In that same year he joined the firm, reaching partnership status in1936. In 1939 he married Jessie Marshall and they had two daughters. Ranwell soon proved proficient in council matters, deeds of sale and municipal servitudes. Continuing in the military tendency of the firm’s partners, Ranwell served in the SADF during the Second World War. Ranwell was a Freemason and rose to the position of Grand Master of the East Rand Scottish Lodge. A keen sportsman, he retired from the firm in 1973 and died a year later. Martin Victor Robinson matriculated at Dale College in King Williams Town in 1947 and started working in 1948 at the Fort Beaufort magistrate’s court, which was, at the time his home town. From June 1952 to December 1954 he was on the relief staff in the Department of Justice and during that period he worked in 30 magistrate’s offices throughout South Africa. He commenced articles with PG de Vries in 1955. In 1956 he married Sannie Bosch and they had three children, two daughters and a son. Robinson then joined Savage, Jooste and Adams and achieved his academic qualification from the University of Pretoria in 1962. 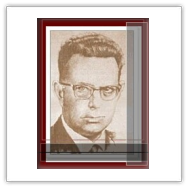 He was admitted as an attorney in 1963, the same year he was admitted to the firm, rising to partner two years later in 1965. Chairman of the Boksburg Round Table 17 during 1996/7 and Eastern Transvaal Area Chairman a year later. He served on the practical examination panel for Candidate Attorneys for 9 years and assisted setting the papers for the Administration of Estates exam. He also served on the Disciplinary and Fee Assessment Committees of the Transvaal Law Society. A keen fisherman, Robinson retired on 31 August 2000 & passed away on 9 April 2015. Peter Douglas Cooke joined the firm as an assistant in 1982, taking charge of the conveyancing department and was made partner in 1983. Before joining mrr Peter first worked at the Department of Justice in Ermelo, after which he articled with the local firm of Jackson and Joubert while studying through Unisa. Peter was admitted as an attorney in 1972 and as a Notary Public in 1978. During 1979 and 1980 he again worked for the Department of Justice in Springs, first as a Public Prosecutor and then as a magistrate. In 1980 Peter was admitted as a conveyancer and received the D.I Friedland Memorial Prize for outstanding distinction achieved in the Transvaal Law Society’s 1980 practical conveyancing examination. In 1986 he was appointed as a Small Claims Court Commissioner, first for Springs and later for Germiston. In April 1996, he was appointed an Examiner on the Conveyancing Examination Panel by the Law Society of the Northern Provinces. In 1999, Peter Cooke was awarded the UNISA Certificate in Deceased Estate Practice (Certdep(UNISA)), having successfully completed the studies for the said certificate and in 2001 he was appointed Convener for the said panel. In 2002 he was appointed National Convener of the Conveyancing Examinations for South Africa. He also served on the Examinations Standing Committee of the Law Society of South Africa. Peter has been a philatelist since 1957 and has always enjoyed outdoor activities. Both he and his wife, Cynthia, whom he married in 1976, are keen trout fishing enthusiasts and they had three children. He retired on 31 August 2006. Following the retirement of Ranwell, Johannes Petrus Jansen van Vuuren, a former Justice Department relief officer, joined the firm. A transfer from the former South West Africa to Pretoria saw him working in more than 55 Magistrate’s Offices. 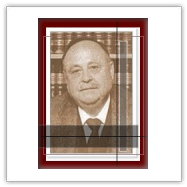 He then joined the Boksburg Firm of S. Bentel and Rubens and was admitted as an Attorney in 1967. Van Vuuren then bought a practice belonging to JD Cilliers before amalgamating with mrr. He married Hanlie du Toit and they had two daughters. Tattersalls and Public Relations Committee. Honorary member of the Boksburg Rugby Club. 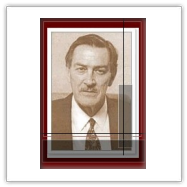 Johannes van Vuuren retired on 29 February 1996 and, passed away in 1999.